My artwork is a reflection of my Heiltsuk and Metis/Cree heritage, and I feel so honored to have learned these traditions from my family members. My Heiltsuk name is Tháqvailh. My English name is Mia Hunt. My Heiltsuk name means ‘the Coppers as they are laid out on the Potlatch floor’. The name was passed to me from my grandmother Maggie Hall’s mother. I am a member of the Eagle Clan. My grand parents, Maggie and Willie Hall brought me up in the Christian and Heiltsuk traditions. 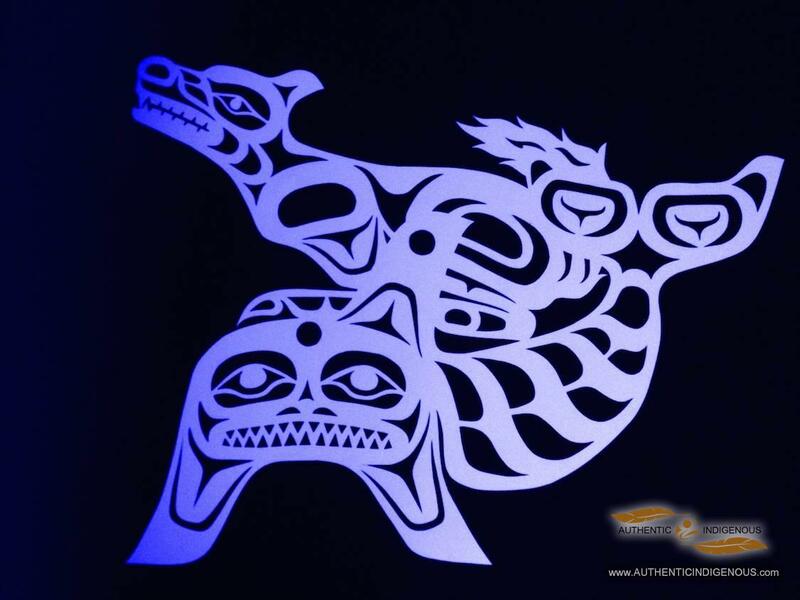 I am a Heiltsuk, & Metis/Cree artist from Bella Bella, BC. I have been an artist for over 40 years. 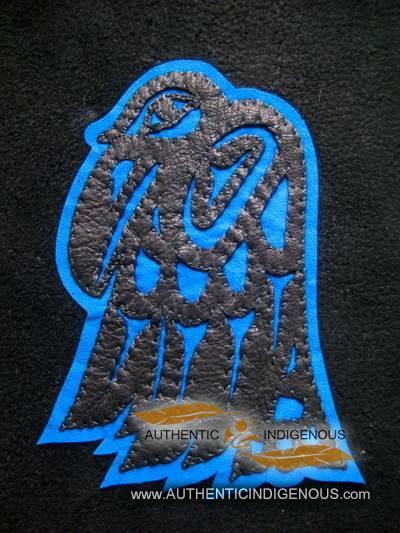 I have studied Heiltsuk history, culture and art since I was 9 years old. I was taught by our matriarchs, the late Beatrice Brown, Maggie Hall, Hannah Hall, Eva Starr, Maggie Windsor, and Nancy Wilson. I was also influenced during my training by such diverse and amazingly talented artists as my late, biological father Frank Lewis. Robert Hall my stepfather and my mom Shirl Hall, my parents who raised me, Ellen Neel thru Theresa Neel, Gordon Gladstone, Stanley George, Doreen Jenson, Walter Harris and Sam Wesley. I have in turn taught a few of the young Heiltsuk artists of today; Kendra Newman, Jeff Brown, Scotty White and Benny Houstie. As a young child I demonstrated a keen desire to learn from the Heiltsuk elders. As we worked together on Heiltsuk traditional food and medicine harvesting and processing, the Elders recognized my skills and talents and were eager to teach me in the Heiltsuk traditions. The Heiltsuk Cultural Education Centre (HCEC) organized a training session where Elder weavers trained a number of select Heiltsuk youth, and I was honored to be chosen. I created an exhibit of the process of weaving a basket from start to finish that continues to be on display in the HCEC. My granny Beatrice, one of the respected matriarchs who taught me to weave cedar, asked me to pass on the skill to others in the community. In February 2001 the Heiltsuk Band Council sponsored me to teach a two week Cedar Weaving Workshop at Bella Bella, and in 2003 I taught another two week Cedar Weaving Workshop in Kingcome Inlet. I started making ceremonial regalia for my Uncle Qa’ait’s Inaugural Potlatch in 1983. 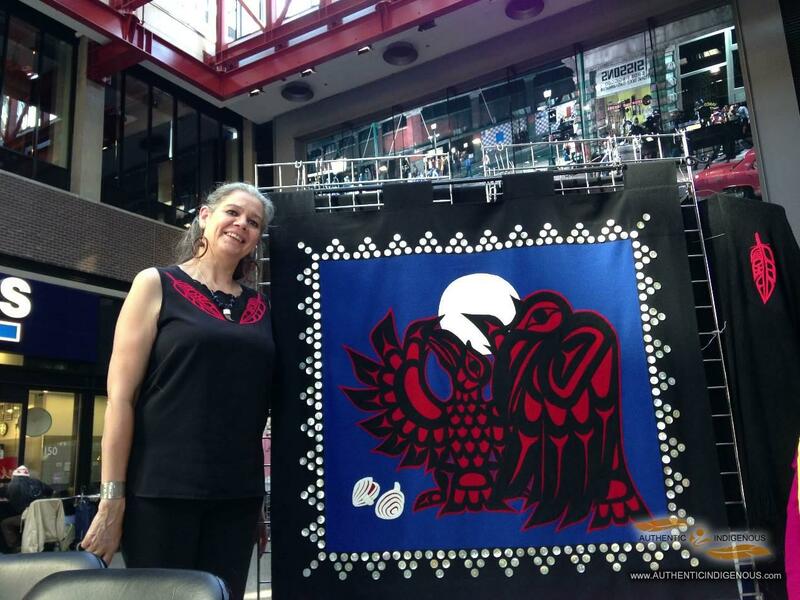 My first two blankets were for brother Frank Brown and artist Robert Hall, my dad, when they received their hereditary names. Today many people in Bella Bella have Button Blankets that I have made. In 1972 I joined my parents, Robert and Shirl Hall, during their 2nd year of wood carving class at Ksan School of Indian Art in Hazelton BC. 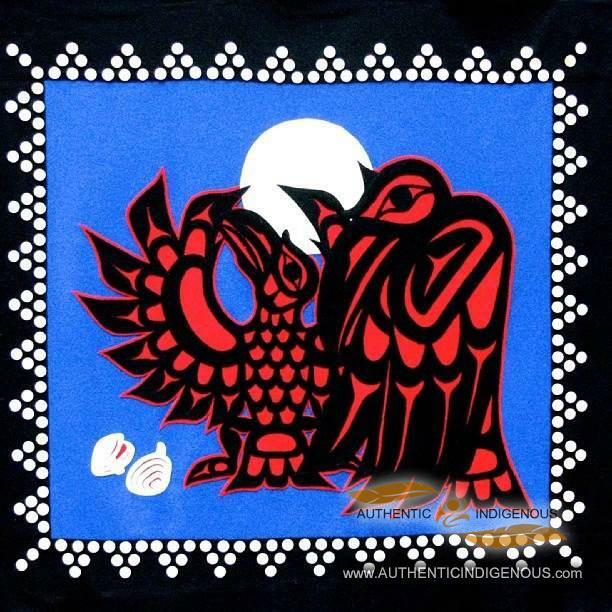 I graduated from Elizabeth Leslie’s School of Fashion in 1988, and began to combine Cree and Heiltsuk designs, using leather, fish skins, and micro fiber appliques on dresses, jackets and other modern garments. During Qatuwas Canoe Festival at Bella Bella, the Heiltsuk hosted a First Nations Fashion Show on Women’s Day, July 1st 1993. 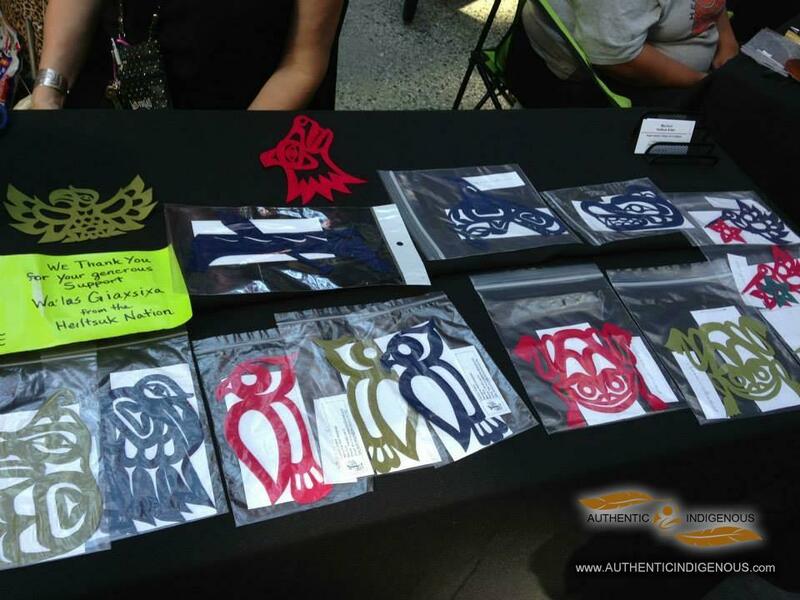 My work, as well as the work of other First Nations fashion designers was exhibited using our own art clan crests. Other fashion shows of my work have been held in the Museum of Anthropology, and Vancouver clubs, restaurants and hotels. For a time in 1995 I operated a store “Sew What ” on Richards Street in Vancouver. During that time, some of the First Nations news papers, the Georgia Straight, and the Vancouver Sun profiled my work. My work was shown in Kaxlaya Gvilas: “The Ones Who Uphold The Laws Of Our Ancestors” the first exhibition of Heiltsuk arts and culture which opened on June 21, 2000, National Aboriginal Day at the Royal Ontario Museum in Toronto. The exhibit was a joint collaboration between the Heiltsuk Tribal Council, the Heiltsuk Cultural Education Centre and the Royal Ontario Museum. The exhibit had contemporary artwork as well as 50 historic works in the R.W. Large collection at the ROM by Heiltsuk artists who lived at Bella Bella around 1900. The exhibit also traveled to the Museum of Anthropology, Vancouver, and the McCord Museum in Montreal. 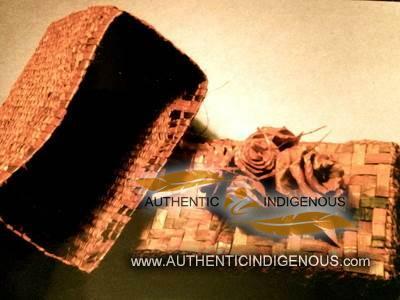 I taught leather work at the Vancouver Native Education Centre from 1988 to 1994. At that time I also taught Street Kids, Arts and Crafts at the Aries Project in the Vancouver Aboriginal Friendship Centre. More recently, I have been teaching Cultural Studies-Button Blanket Making since September 2004 to the present at the Vancouver Native Education Centre.